All Cost Share Projects will be assigned Fund 5999. This fund change will also be implemented on “old” and “existing” Cost Share projects. Some older, inactive Cost Share projects were not converted and will remain in Fund 5000; Departments need to verify the correct fund when processing transactions for Cost Share projects. Fund 5999 is only applicable to transactions moving forward. Transactions posted prior to December 2012 will still show Fund 5000. The project title usually contains the word “MATCH” (other projects may have the word “match”, but it is not common). Budgeted categories must be defined and committed to at the time of award setup. Click here to view the expense accounts in a specific budget category. Click here for notes from a BPAG presentation on Budget Categories. In March 2012 GCA began booking Accounts Receivable (A/R) and recognizing Revenue as expenses were billed to sponsors. As part of the Grants go-live, these entries will be automated. The purpose of these A/R entries is to give a view of the outstanding A/R at any point in time and to allow for better project-specific and institutional cash management. For departments it will give a clearer picture of project finances. Unbilled Receivable — On cost reimbursable projects, when funds are expensed, an Unbilled Receivable will be created and the revenue will be posted. Billed Receivable — When a bill is prepared, a Billed Receivable will be created. If the receivable had previously been posted as an Unbilled Receivable, it will become a Billed Receivable. 1. A $200 expense posted on a cost reimbursable project. 2. The $200 expense is billed. 3. The $200 expense is paid. When a cost reimbursable project is prepaid the payment will be posted as Deferred Revenue until the expenses are posted. When expenses are posted the Deferred Revenue is debited and the Revenue account is credited. 1. Agency pays a $1,000 advance on a cost reimbursable project. 2. When $600 of expenses are incurred. Please Note: To determine how much an agency has paid the University. Take the Revenue amount and subtract the Unbilled Receivable and the Billed Receivable and add the Deferred Revenue. 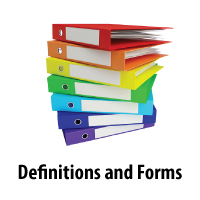 Invoices must NOT be created separately (outside the PS system) by departments and must NOT be sent to sponsors. F&A will be posted on a daily basis. This will mean that the F&A on Summary Section of the Management Reports will always be up to date. F&A Rate on the Management Reports Help page. Emails will be sent out to PI, AE and Liaisons when certain milestones are reached in an Award/Proposal/Project. Award has been processed by OSP and sent to GCA to “generate” (PeopleSoft term) the Award. Award has been “generated” by GCA. There will no longer be Bucksheets mailed to the PI’s. To find the information found on the Bucksheet, use the Chartfield Lookup under the Resources & Information section of CIS. This self-service application enables departments to easily maintain Liaison information, which will be used more and more in communication from central offices. This application went live in August of 2011 and is undergoing minor changes with the Grants Implementation. Budget Categories and Totals – These are displayed on the new reports with the Accounts to roll up to each category. They are shaded on the report. Hide/Show Detail – This button will allow the user to toggle between showing all details or just the totals of the Budget Categories. Over Committed – If a project is over committed, for a particular month, the words Over Committed will be displayed in the top left corner. Over Spent – If a project is over spent, for a particular month, the words Over Spent will be displayed in the top left corner.